We repair and install electric water heaters of all makes and models, but we highly recommend State Water Heaters. 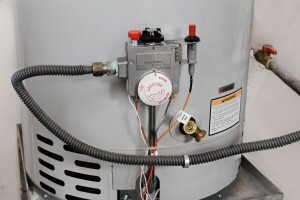 How do you know if you need a new hot water heater? If your electric water heater is taking longer and longer to heat the water, it may be time for an upgrade. Another sign of a problem is a puddle on the floor underneath your water heater. Today’s electric water heaters are more efficient than ever before, so installing a new water heater will not only give you hot water faster, but it can save you money on your utility bills. At First Class Plumbing, before we replace a hot water heater, our plumbers will ask a few questions about your family or business’ water usage, including how many people use the shower or the laundry facilities, and if you run the dishwasher or washing machine at the same time as people are showering. With answers to these questions, we can recommend the best electric water heater that will meet your hot water needs, and your budget. Tank water heaters are the most budget friendly electric water heaters, and come in a variety of shapes and sizes to fulfill the hot water needs of individuals, large families, or commercial businesses. We can also install solar water heaters with electric backup. We’ll do a site analysis to make sure your location has what it takes for a solar water heating system to work. We’ll compute the size and estimated cost to install a solar energy system for your home or building.